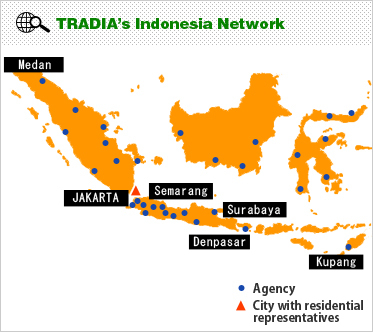 TRADIA has set up bases overseas that offer services to our customers abroad. Our residential representatives, stationed at our local joint ventures and agencies, provide meticulous support for customers. We will live up to your expectations when entrusting your precious overseas cargo with us. OMTRANS is the international logistics division of OM Logistics Group, one of the leading logistics company in India. OMTRANS takes advantage of more than 400 bases and inland transport network which OM Logistics has set up in India, to offer their own warehouses, customs clearance, and truck delivery services from major ports in the country. The company works as a bridge between the vast territory of India and the outside world, and support customers' supply chains. OMTRANS has also set up joint ventures with us in India (OMTRAX) and China (JC-OMTrax) to operate logistics business in one united body. OMTRANS and TRADIA have also developped a shared network to help our customers trade, not only between Japan and India but also to and from third party countries, such as Thailand, China, and Indonesia. OMTRAX Packaging Solutions is a joint venture founded in 2007 by OM Logistics Group and TRADIA. the company provides services incidental to transportation, such as procurement of packaging materials, packaging work service, and loading and unloading of plant and heavy machinery, to support safe delivery and storage of freight. In alliance with OM Logitics for domestic transport and storage services in India, and with OMTRANS-TRADIA for int'l transport services, it offers integrated logistics service. 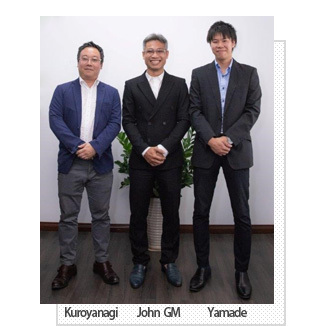 Omtrans Logistics and Tradia has now more then 10years association serving Japanese and Global customers through their expertise in Exim Cargo. Omtrans Logistics Ltd is the international wing of one of the largest Logistic company in India i.e Om Logistics Ltd having more than 450 Branch offices in India with appx 2500 trucks (Owned & Contracted) & Owned more then 20 Million Sqft. warehouse within India. 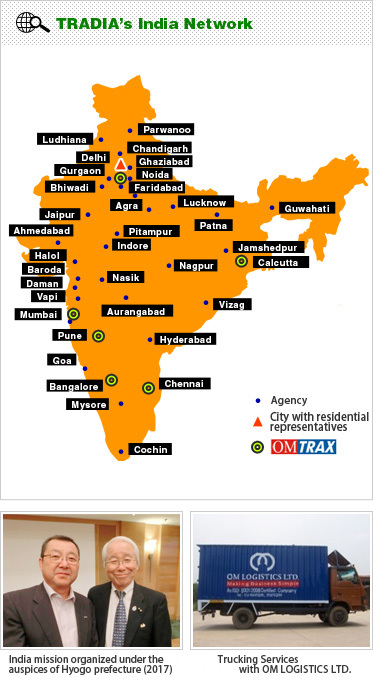 Omtrans can provide any kind of logistics service with in India and outside India through its associate and own office. We specialize in Packing of heavy machinery, Door to Door Delivery, ODC cargo, Project cargo’s, warehousing and Distribution. JC-OMTrax Int'l Logistics (Shanghai) Co., Ltd. This joint venture company was set up by three entities, OMGROUP, an Indian company, Shanghai Jin Jiang Group, a major state-owned enterprise in China, and TRADIA. As one of TRADIA’s bases in China, they are working to expand and develop transport business not only between Japan and China but also with third party countries, especially India, and develop domestic logistics services in China. 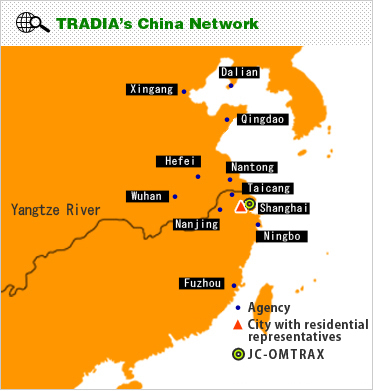 TRADIA offers import and export services at inland ports along the Yangtze. Barges are employed as they help reduce domestic transport expenses and are environment-friendly as a means of transportation. TRADIA has set up major agencies in cities along the river (Wuhan, Nanchang, Hefei, Chongqing, etc.) and offers direct services to Taicang, Nantong, Zhangjiagang, and Nanjing..
We also provide advice for effective use of Logistics Zones, and support for sales and marketing in China. In addition, we have a buyer consolidation service to offer for imports of apparel products and machine parts. For cargo that needs to be delivered with a short lead time, we also offer hot delivery services (HDS), three services per week from Shanghai to Tokyo, one service per week to Nagoya and four service per week to Osaka. 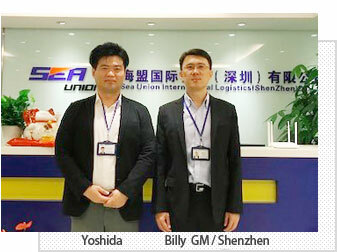 We have residential representatives posted in Qingdao, our strategic base for logistics in North China. With the brilliance of Express ocean trade, corporation between China, Japan and India will be ever flourishing. 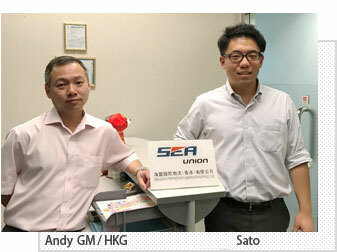 SEA UNION INT'L LOGISTICS (SHENZHEN) CO., LTD.
SEA UNION INT'L LOGISTICS (HONG KONG) CO., LTD. In China, a country with a vast territory, the southern region has quite a different type of market and different business practices from East China. 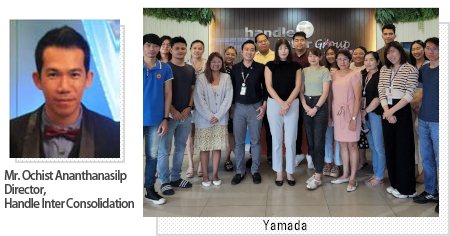 TRADIA has Japanese representatives residing in the region to offer advice about local practices of customs clearance, and local staff familiar with forwarding work to satisfy a diverse range of customers ’ needs, including third party logistics (3PL). Our air cargo transportation service also enjoys a good reputation with customers. The firm relationships which we have long maintained with major shipping companies here enable us to respond flexibly to urgent shipments and offer customers a long period of free time for the shipments from Hong Kong and Shenzhen. 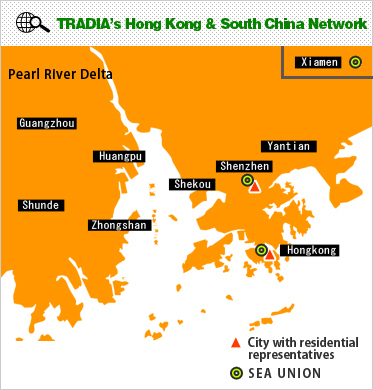 Taking advantage of our (SEA UNION-TRADIA) own consolidation service, we gurantee smooth shipment to and from cities in the Pearl River Delta. In an era of ever-changing information and political turmoil, “The strong execution” - it's to be the best benefit for SUI's development and the needs of Tradia. We, Sea Union International Logistics, provides the best way of Ocean/ Air /Rail forwarding, Inland truck, E-commerce and whole logistics. We are a partner you can count on! 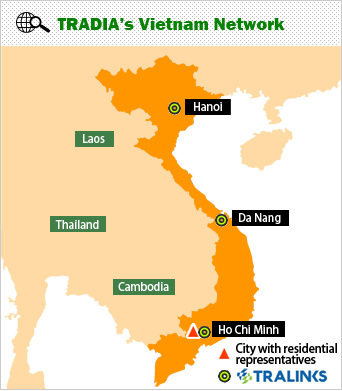 To meet needs of customers considering cross trade mainly in Asia, a type of international trade that has been rapidly growing in recent years, TRADIA has again, in 2011, posted Japanese representatives in Thailand to offer transportation support in the country. 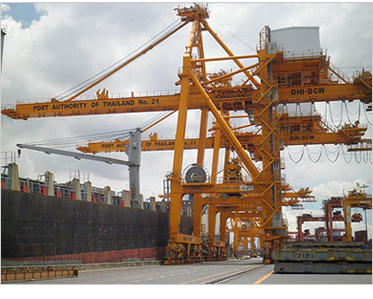 Our representative are focused on the handling of shipments from Thailand to India, China, and other ASEAN countries, as well as logistics between Thailand - the gateway to the Mekong Delta region - and Cambodia, Laos and Myanmar. Our Handle Inter consolidation provides door-to-door moving services worldwide. Individual, corporate and diplomatic moves, sporting events and exhibitions to venue and back. Air and sea freight service Japan-Thai, ASEAN inter transportation included China and India as well. Our professional team is ready to welcome you and advise you in all your needs. Please feel free to contact us to talk more deeply about our services. PT. Kurhanz Trans is one of the most important partners and they will design your logistics in Indonesia in alliance with us. PT. Kurhanz Trans which was established in 2000. They have specialties in the handling of customs clearance, hand carry, trucking, IOR/EOR, project cargo besides ordinary ocean & air freight forwarding and they have considerable experiences handling NATIONAL STRATEGIC PROJECT, is worthy of mention. Indonesia is a country comprising 5 major islands and more than 17,000 islands. The economy is the largest in Southeast Asia and one of the emerging market in the world. Indonesia has many opportunities to develop businesses as we are assured that Indonesian government is very positive and constructively to develop infrastructure. In the meantime, a lot of equipment for infrastructure came from all around the world especially from Japan. 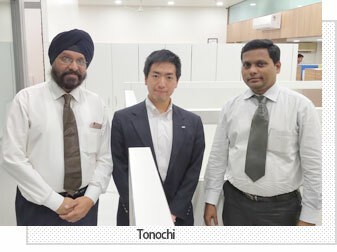 As one of the strongest logistic companies in Japan, we are eager to have a strong business relationship with TRADIA. 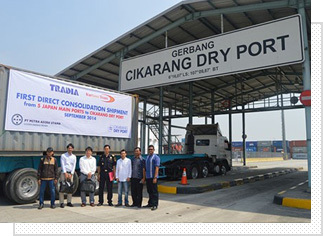 With a lot of Japanese factories established in Jakarta, is the main reason to launch Cikarang Dry Port (CDP) Consolidation Service from Japan. TRALINKS is a joint venture company newly established in 2017 with our partner in Vietnam, Worldwide Links Co., Ltd. We have sent representatives to Hochiminh and Haiphong offices to meet the growing customer's demands. We are very confident of providing various and suitable services across the nation in Vietnam with satisfaction guaranteed. Just try our services first. As an International Logistics specialist in Vietnam, TRALINKS was established in 2017 and has grown up to become a market leader in freight forwarding industry with business from/to Vietnam, Japan and worldwide destinations. We provide full range of worldwide logistics services covering global inbound, outbound, LCL, FCL, air cargo, warehousing, customs clearance, distribution etc. Most of our valuable assets are our people who have lots of logistics experiences in global & local freight forwarding industries. 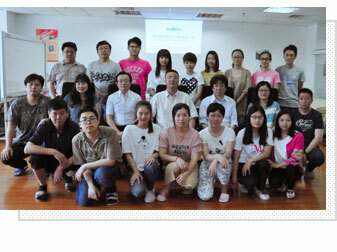 We well know that the business will come true and growing with good people and good team. We commit continuous investment of stability, healthy overseas network, IT system, working environment to ensure the satisfaction to every customers' demands every day. We hope much stronger mutual business accomplishes in coming next stages. Thank for your excellent co-operation in advance.